Join an exclusive group of aspiring artists and songwriters from around the world on a life-changing songwriting retreat, led by legendary music publisher and artist development specialist, Judy Stakee. 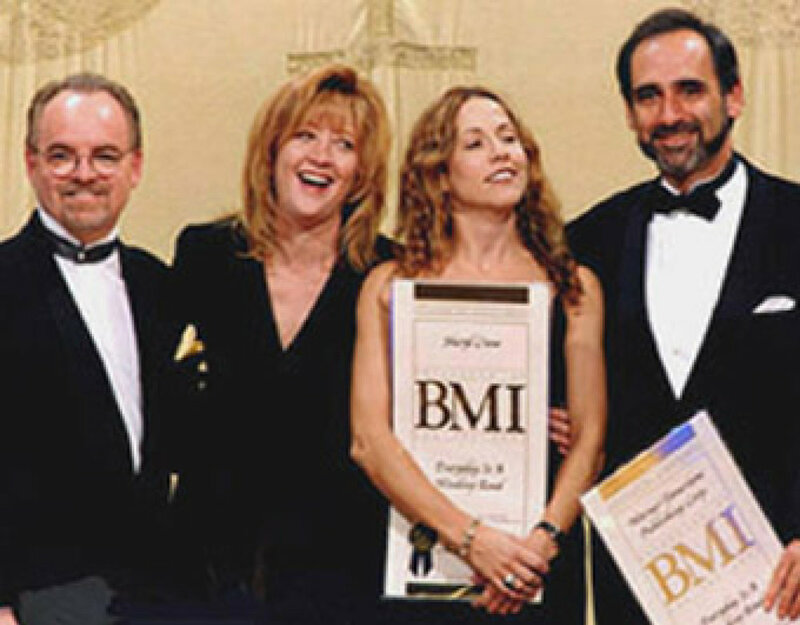 Judy Stakee knows what it takes to write a winning song and build a career in the music industry. Former Sr. VP of Creative at Warner/Chappell Music, she’s signed and developed many of today’s most acclaimed artists and songwriters: Sheryl Crow, Katy Perry, Michelle Branch, Gavin DeGraw, Jewel, Joy Williams, John Shanks, Julian Bunetta. Based on the songwriting camps she ran at Warner/Chappell, Judy’s “It All Starts With a Song” songwriting retreat is intended for exceptional artists and songwriters early in their careers. 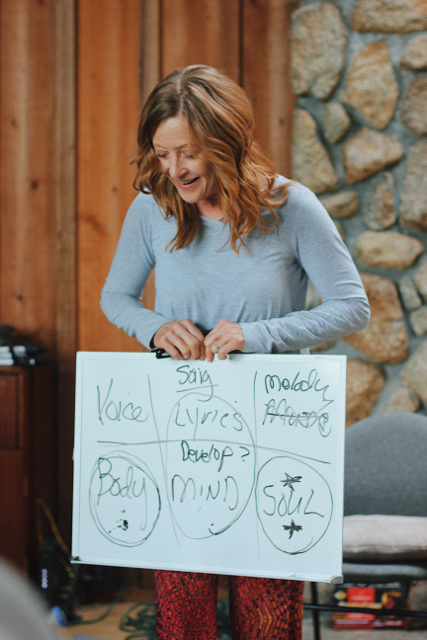 Judy designed her songwriting retreat to help you harness your potential, by nurturing your talent and acting as a mirror. Over the course of 5 days, you’ll be taken through Judy’s step-by-step methodology that addresses strengthening the mind, body and soul to strengthen your lyrics, melody and voice. You’ll be given the necessary tools for developing your perspective and telling your story through song. You’ll explore writing for both radio and film/TV. You’ll be challenged to co-write with fellow artists and songwriters from around the world, gaining the split rights to 3 new songs and new networking connections. Most importantly - you’ll walk away with greater self-awareness about who you are, what you want your songs to say about you, and what you really want out of your music career. By the end of this process, you’ll have a solid foundation to support you at every step along the way. If you’re ready to invest in your future and take the next step in your music career, Judy’s songwriting retreat will give you the confidence you need in order to take it. You’ll discover how to write winning songs by telling better stories with your lyrics, melody and voice; and start developing a relationship with Judy as your mentor. You’ll make connections with other artists and songwriters who can help you take your career farther than you’ve been able to on your own. You’ll gain insight into the music business, co-writing and toplining process, and learn how to turn the songs you produce into winning products. Judy’s songwriting retreat is an intensive experience, intended to give you more in 5 days than you’d get out of consulting alone. You’ll learn what it really takes to make it in the music industry, and walk away with actionable “next steps” for what you need to do to make your dreams a reality. You’ll also have plenty of time to ask Judy your burning questions, as well as pick the brain of a special guest speaker. By escaping the stress of your every day life, you’ll finally have the space to learn how to change your thought process to be more intentional. You’ll learn new tips and techniques for focusing your time, space, and tools more effectively, to improve your creative process. Judy strategically assigns you to co-writing groups that will challenge you to become a stronger co-writer. You’ll learn how to develop great co-writing relationships, and discover your true strengths as a songwriter and collaborator. Your song is your calling card. Before pitching to radio or film/TV, your song needs to be a winning product. You’ll learn what music publishers and supervisors are really looking for, and how to present your work to have the best chance at success. As a songwriter, you’re the CEO of your own business. You’ll learn how to establish your identity as a songwriter, and how to align your personal brand with your goals and professional opportunities. A songwriting career can take one of many directions. You’ll gain a better understanding of the type of artist or songwriter you want to be, and what it really takes to achieve your goals - whatever they may be. When your mind, body and soul are nurtured and in alignment, you’ll be able to get out of your own way and stop being the biggest obstacle to your success. You’ll learn how to believe in yourself, invite abundance and community into your life, and how to say “yes” to the universe. All meals will be catered by an on-site chef that prepares each meal using fresh, organic, locally-sourced produce that will properly nourish the body. Writers are responsible for getting to the retreat center, but once you arrive to the retreat center, everything is taken care of for you. The address and details of the retreat center will be provided to you upon acceptance. 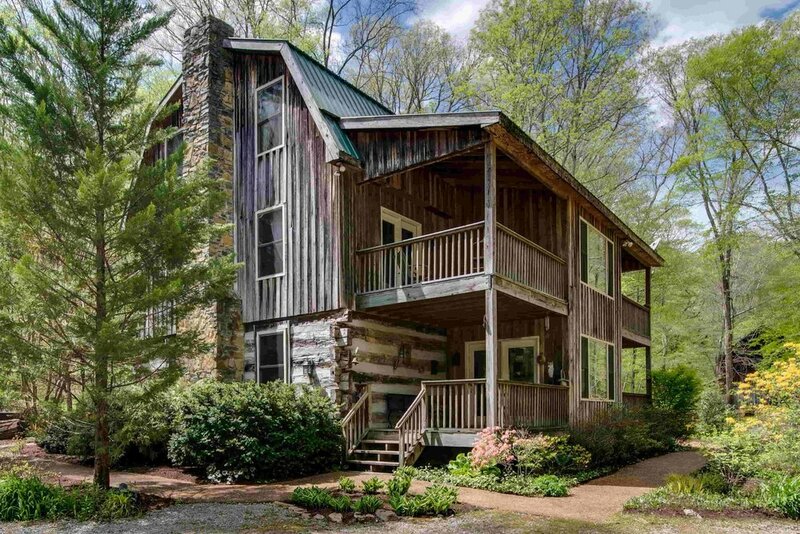 Your retreat package includes: a bed in a shared room, full access to retreat activities, fully-catered meals, 3 live performance demos of your co-writes, an invitation to Judy’s private networking Facebook Group of 500+ artists and songwriters from around the world, and a signed copy of her book The Songwriter’s Survival Guide. Space is limited per retreat. Upon acceptance, a $695 down payment is required to secure your spot. Your airfare and travel expenses are not included. If you are under 18, your parent or legal guardian must give written permission before you can attend. *Interest free payment plans are only available for Early Bird and Late Bird. + Why do I have to apply to attend? Judy accepts artists and songwriters based on their demonstrated talent for songwriting. The application process ensures that all retreaters bring some level of experience to the table, and will be able to contribute successfully to co-writing groups. You must be 14 or older to attend. If you are 18 or under, your parent must sign form that gives permission. + Does it matter what genre I am? No. Judy encourages and welcomes variety at her retreats. + What if I don’t play an instrument? You don’t need to play an instrument to attend. If you’re a topliner, Judy will assign you to a co-writing group with others who play an instrument. + What if I don’t sing? You don’t need to be a singer to attend. If you’re a lyricist, instrumentalist or producer, Judy will assign you to a co-writing group with a singer or topliner. + How will I know if I’ve been accepted or not? One of Judy’s team members will reply via email to your application and let you know if you have been accepted or not. + Why wasn’t I accepted? The most common reason Judy doesn’t accept someone is the links they send in. Please make sure you send the correct links for up to 3 original songs. If you don’t have any songs produced, you can make a video of you or someone else performing them. Production quality is not a determining factor in acceptance, unless you are a producer. + Will Judy actually review my application? Yes. Judy reviews all applications before offering acceptance. + Will I need to bring my computer? No. You won’t need it for anything that your phone can’t handle. You probably won’t find much time to use it, either. You’re encouraged to leave your computer and other devices at home. But if you do choose to bring your computer for any reason, there’s free WiFi at each retreat center. + Will I need to bring my own instrument? If you want to bring your instrument, it’s recommended that you bring an extra cable and your own guitar or keyboard. You don’t need to bring an amp. Yes! There won’t be a lot of time for photos, but Judy and her team encourage you to document your retreat experience and share it on social media after the retreat. + Do I have to stay at the retreat center? Yes. Your full stay at the retreat center is included in any package you choose. If you must stay off-site for any extenuating circumstances, please reach out to Judy and her team once you’ve been accepted to discuss your situation further. + Who will I be sharing a room with? Upon arrival and check-in at the retreat center, you’ll be assigned to a shared room or cabin based on your gender. + Can I bring friends or family to stay with me at the retreat center? No guests are allowed to stay with you at the retreat center. However, your friends or family are more than welcome to stay off-site for the duration of the retreat and meet up with you after. + I really want to go, but I can’t afford it. What are my options? By applying early, you’re able to take advantage of Early Bird Pricing and an interest free payment plan. Some past retreaters have had success running personal fundraising events, getting local businesses to sponsor their attendance, and applying for grants from music and artists foundations. Judy’s team is happy to help any accepted artist or songwriter apply for grants. + Can’t I just work with Judy remotely? Judy provides mentoring to artists and songwriters through Skype (or in-person if you’re local to Los Angeles). If you decide you want to work with her remotely and not attend a retreat, you can purchase single consultations or apply for her mentorship program. However, it will be difficult for Judy to recreate the magic of her retreats through consultations alone. If you are serious about working with Judy as your mentor, attending a retreat will allow you to meet her and begin developing a relationship. If you wish to invest in mentoring, you’ll get even more out of your sessions with Judy once you’ve gone to a retreat. + I heard you offer scholarships. Is that true? Judy offers 1 scholarship per retreat via ReverbNation contest. You must have an artist account on ReverbNation to apply and be selected. There are no other scholarship opportunities. + I was accepted to a past retreat, but didn’t get to attend. Do I have to reapply? Once you’ve been accepted to a retreat, you are accepted to all future retreats. If this applies to you, please email Dia Morgan (dia@judystakee.com). + I can’t make any of these dates. Will there be more retreats in the future? Judy plans to hold retreats in the future. Dates, locations, and pricing are all subject to change. Sign up for Judy’s email list and/or follow her on social media to stay advised about her upcoming retreats. + Who can I contact if I still have questions? Please reach out to Judy and her team through her Contact page. If you are under 18, you must have your guardian's permission to attend. You will be assigned a shared room by gender. Please submit up to 3 original songs for consideration. Show us your social media! Share a link to your Facebook page or Instagram, if you have one. Please select the dates and location for the retreat you would like to attend. Do you have any dietary requirements the chef should know about?